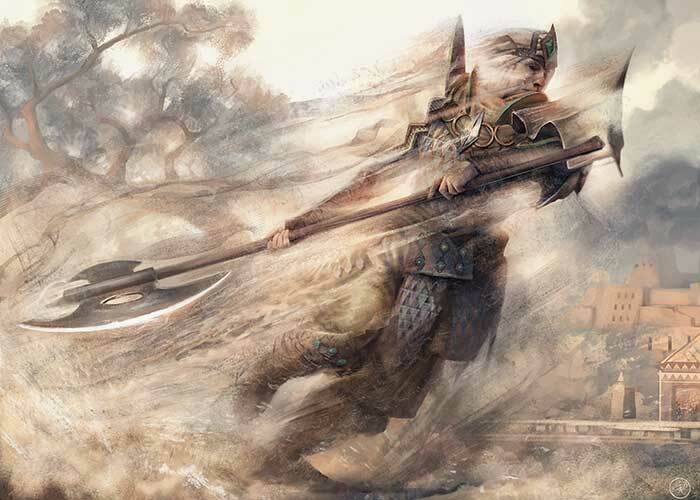 The Abzan are a varied bunch, employing a variety of Tarkir's races in their never-ending effort to endure. As long as they like sand, at least. In fact, you can get a sense of the makeup of the Abzan clan (and the rest of the clans) in two places you may or may not already have visited: the "Planeswalker's Guide to Tarkir, Part 1" (and Part 2) and the Khans of Tarkir product page, which contains information on races, legendary creatures, and the clans themselves. 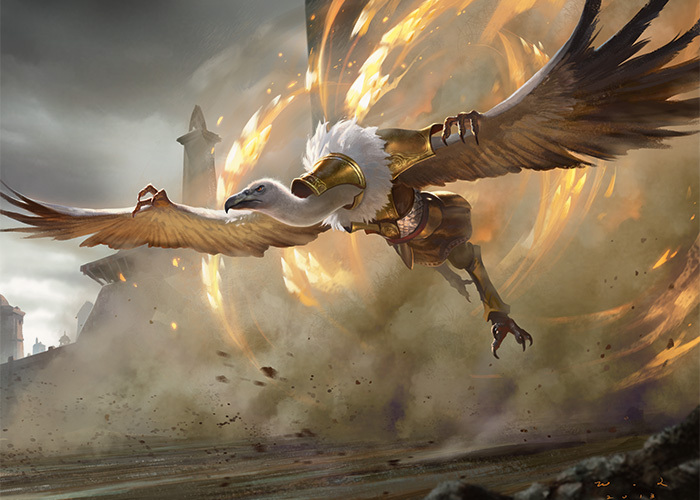 But because it's Abzan Week, we're going to focus on the races (in the way Goblins and Elves are races of creatures) and classes (such as Warrior and Archer) that make up Abzan Houses. Muscular and savage, orcs are well suited to Tarkir's harsh environment. The Mardu clan includes many orc warriors...including its khan. Orcs also share the wild lands of the Temur. The Abzan sometimes adopt orphaned orcs into the clan as "krumar," who are among its most dedicated defenders. 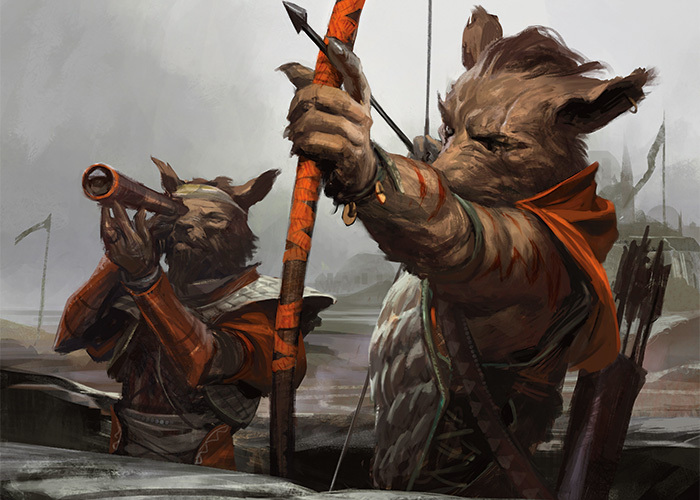 Tarkir is home to two lineages of the canine humanoids called ainok. Those of the desert wastes resemble hyenas and are masters of survival and camouflage; they are often adopted into the Abzan. The bearlike ainok of the Qal Sisma mountains live and work among Temur humans. The Abzan have become very insular and distrusting of those outside the clan. The only exception to this general rule is the status of ainok, a race of canid humanoids. 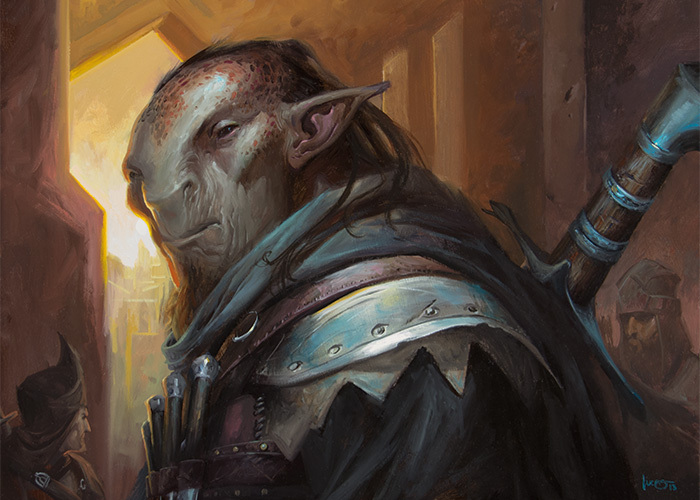 It has been many generations since the ainok nomads helped the Abzan survive. They are still tolerated in Abzan cities, although they typically live on the fringes of the human-dominated society. Spirits also play a significant role in Abzan life...and warfare. Due to the scarcity of resources even in the oases, each Abzan family is responsible for caring for a particular fruit-bearing tree, called a kin tree. When family members die, they are laid to rest beneath their family tree without a casket. Their bodies provide nutrients for the tree, which in turn bear fruit for future generations. Instead of headstones, family names are carved directly into the kin tree. This concept reflects the Abzan ideal of duty to the family. In fact, the spirits of the dead are closely connected to their trees, and can be called upon in times of war. But not all spirits are so friendly. When disowned Abzan die, their spirits have no place to go. Some Abzan mages seek out these lost spirits. This is a taxing feat because these spirits are vengeful and malicious. However, in times of war, the malevolent spirits are channeled by Abzan mages to be unleashed against the enemy. As you might note if you read yesterday's Arcana on the various Walls the Abzan employ, the above is not a comprehensive list of the races and classes in House Abzan. But we wouldn't leave you hanging like that. Because we like you. We really do.